We've got a great treat for you today. I was lucky enough to get an exclusive interview with Charles Charles MaGalls. Yes, Charles Charles MaGalls from MaGalls Industries Global. He has challenged Dwyane Wade to a game of 1 on 1 and is pretty confident about his chances. TCB: I want to start off by thanking you for taking time out of your extremely busy schedule to do this interview with TheConverseBlog.com. Speaking of being busy, you’ve been all over the internets recently. Where do you find the inner strength to run a successful company and relentlessly challenge Dwyane Wade at the same time? CCM: I am very talented. I find the inner strength I need from starting every morning eating an egg hard-boiled. It is good protein. Next question. TCB: You’re obviously a very confident and ambitious person, how did you arrive at the decision to challenge Dwyane Wade to a game of 1 on 1? CCM: The decision was a very simple one. Dwyane Wade is the best. I am better. Better hates the best. If you fail to understand this simple premise than I think you are a pant(y) waste. TCB: You’ve just woken up stranded on an island, which book, album, and movie do you wish you had brought with you? CCM: What an interesting question, sir. As there is only one book I would want with me and that is “Obstacle Get Out Of My Way – The Charles Charles MaGalls Story.” Because it is fascinating. (http://www.magallsindustriesglobal.com/obstacle.htm). The rest of that question is stupid and irrelevant and I will not answer it because islands do not have electricity and if they did then why would I leave if I could run my empire there unless it was like that island on the television where the people are stranded and there is the ghost monster in which case I would want a movie that would teach me step by step how to build a boat to get off the island and if there is an educational musical album that accompanied the movie and taught me the same thing or navigation by stars so much the better. TCB: We’ve seen your challenge to Mr. Wade on billboards, ads at arenas, social networking websites, and Youtube, but can we expect to see a national TV commercial? CCM: Probably TV commercials. I am in talks right now to develop a Broadway Musical for my challenge. I think I will call it “Defeating Dwyane Wade to 10 by 1 Gotta Win by 2 – The Musical.” My research and development team is looking in to “to 10 by 1 gotta win by 2” skin grafts that will soon be popular on the beaches of Miami. Of course, maybe none of these things as uncertainty is my sixth man, you see. TCB: Has anyone ever said, Charles Charles MaGalls, the man so nice they named him twice? How does that make you feel? CCM: No. I am fine with that. TCB: I’ve noticed that you’ve been at a few Heat games recently; can the fans expect to see you during the playoffs? CCM: There is only one person that must see me and that person is Dwyane Wade. From what I heard he is seeing me often. 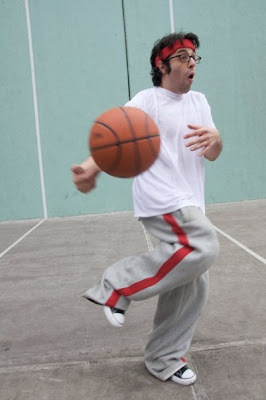 I now hear he demands of team members in practice “Play to the level that Charles Charles MaGalls would play me” and “Dunk on me like Charles Charles MaGalls would dunk on me” and so on including “Revolutionize the sport of basketball like Charles Charles MaGalls revolutionizes the sport of basketball” and such. 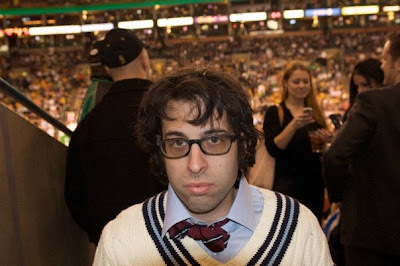 TCB: Seeing as how this is The Converse Blog, I’d be amiss if I didn’t ask you about your choice of footwear. I’ve seen you wearing some Jack Purcell’s and some Chucks; do you have a shoe picked out to wear when you finally get to play Mr. Wade? CCM: I would like to defeat Mister Wade in pair of Wade 4.0s because it is what’s known as poetic’s justice. You see the shoes have Mister Wade’s name on them and in many ways it would be like he was dunking on himself and I imagine this new reality would make him sad and question his very worth on the basketball court. TCB: If you could travel back in time and change one thing in history what would it be? CCM: Agreeing to this interview. 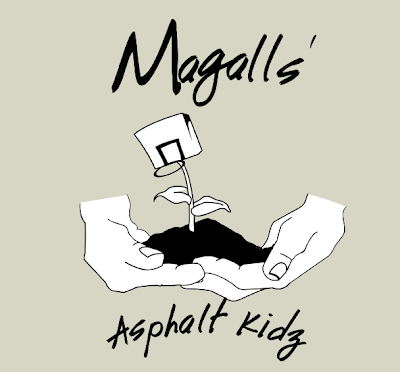 TCB: On a lighter note, can you tell us some more about MaGalls’ Asphalt Kids? CCM: A lighter note? Are you crazy?!?!?. The Asphalt Kidz are one of the most serious things in my life. As a friend of children everywhere and an enemy of Dwyane Wade in Miami it is my goal to make sure that these citizens of tomorrow become sworn rivals of Dwyane Wade today. TCB: It seems that Mr. Wade has been ignoring you, have you thought about buying Converse from Nike in order to get his attention? CCM: Finally, a question of journalistic integrity!!!. You seem to understand the Charles Charles MaGalls psyche of always thinking one step ahead on the checkers board. That is the Charles Charles MaGalls way. We could use a man of you keen intellect at MaGalls Industries Global, Mister Martin. Perhaps you would consider employment? CCM: You asked me this question already. I rescind my offer of employment. TCB: Last question, if you’re fortunate enough to get a 1 on 1 game with Mr. Wade have you thought about what kind of trash talk you use on him? If so can you share any with us? CCM: There is no fortune involved, Mister Martin. I will play Mister Wade. Mostly I will make fun of his losing to me by 7 or 8 points. Or I will make fun of his career high of 55 points. My research shows that in that very game I could have scored 61 points. That is at least 6 points more!!!. Or I will make fun of his freakishly tall height. You see Charles Charles MaGalls has many secret weapons that will make Mister Wade insecure as both an opponent and as a person. I am not afraid to play dirty. Two things I want to make mention of...this was an email interview and I changed the order in which some of the questions were and I forgot to delete the TV Commercial questions from it's original location. I didn't realize until I had already sent Mr. MaGalls the question. I left it in here because his answer is classic, even if he did pull back a job offer to me. My bad Mr. MaGalls I'd really like a second chance to earn your trust. Secondly, my favorite question is the one about which shoes he would wear. I am a man that enjoys some good irony and if he were to play him in the Wade 4's it would be the best thing ever. We all know that Dwyane never played in the Wade 4 but depending on how this plays out it could move a few more units of the shoe if Mr. MaGalls wore them in their game. Anyway, I hope you enjoyed the interview and you can look for more coverage if or when Mr. Wade and Mr. MaGalls meet on the court.